I'm worried that government policies will undermine the value of my retirement savings. I've worked hard for this money and I'm counting on it to keep me comfortable during retirement. What can I do to avoid being robbed by Washington? -- Joyce A. "Robbed" is perhaps a little strong, but I understand your trepidation. For better or worse, government policies in any number of areas can clearly affect the value of your nest egg, not to mention your retirement prospects overall. But tax rates are just one of many government actions that can affect your finances and retirement lifestyle. For example, president Obama's recent fiscal 2016 budget floats a variety of proposals that could affect retirement planning, including limiting the value of itemized tax deductions -- including those for IRAs and 401(k)s -- to 28%, prohibiting new contributions to tax-advantaged retirement accounts once their balance hits a certain threshold (about $3.4 million) and subjecting Roth IRAs to the same required minimum withdrawals as non-Roth IRAs -- although another proposal would eliminate mandatory withdrawals altogether if your balance across all tax-advantaged retirement accounts is $100,000 or less. And, of course, government spending, monetary policy, financial services regulation -- all have an effect on economic growth, the level of inflation, rates of return and, hence, investment values in retirement and other accounts. Even moves by foreign governments -- raising or lowering interest rates, enacting or loosening trade restrictions, tinkering with the value of their currency -- ripple through the financial markets, potentially affecting your outlook for retirement. In today's world, it's impossible to insulate yourself from the effect of government policies, both here and abroad. But you can take steps to help mitigate the effect of government actions -- or at least prevent them from totally undermining your plan. Take taxes. You can't dictate tax policy, but you may at least be able to hedge against future rate hikes by engaging in a bit of "tax diversification" -- that is, spreading your retirement savings around so that you have money in a variety of accounts that receive different tax treatment. Traditional 401(k)s and IRAs hold mostly or exclusively pretax dollars that are taxed at ordinary income rates when you withdraw them. If you've got your entire nest egg in such accounts, a hike in ordinary income tax rates could leave you with significantly less after-tax spending cash in retirement. You may be able to further diversify your tax exposure on money in taxable accounts by owning investments such as stock index funds and tax-managed funds that generate much of their return in the form of unrealized long-term capital gains. Such gains offer two tax advantages: they're not taxed until you sell, and then they're taxed at long-term capital gains rates, which are typically lower than the rates on ordinary income and short-term gains. For example, if taxable income from interest, dividends and withdraws of pre-tax dollars from a 401(k) or IRA are on the verge of pushing you into a higher tax bracket, you might tap a Roth account for any extra income you need that year to avoid having more income taxed at a higher rate. Conversely, if your income will be low in a given year but you're expecting a spike in expenses (replacing a car, big medical bills, whatever) the following year, you may consider withdrawing more money in the low tax-rate year so you can withdraw less the following year and minimize the amount of money taxed at the higher rate. And to assure your portfolio's performance doesn't depend solely on the U.S.'s policy and economy, you should consider investing a portion of your portfolio (say, 10% to 25%) in foreign stock funds. With a single fund -- a total international index fund -- you can virtually invest in all publicly traded investments outside the U.S. 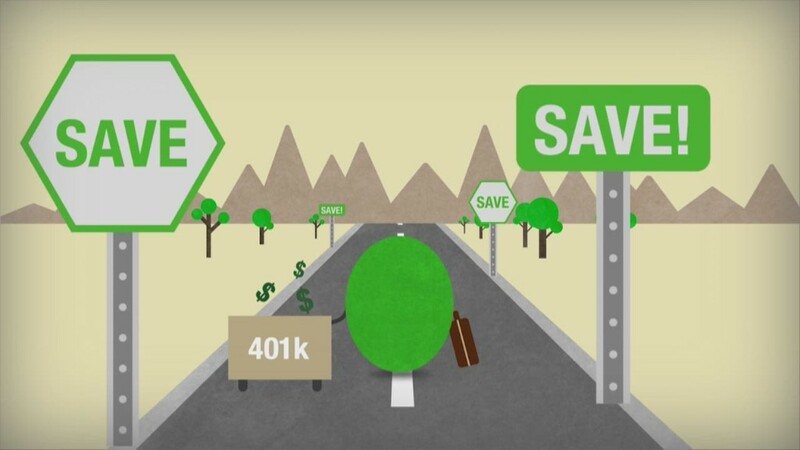 Finally, if you've still got some time before you retire, finding ways to save more in 401(k)s, IRAs and other retirement accounts is always a good way to hedge against any type of uncertainty. After all, the larger the nest egg you go into retirement with, the greater the margin you'll have to withstand the effects of higher taxes or anything else that adversely affects your retirement finances. You don't want to go overboard with any of these moves. If your chances of moving into a higher tax bracket in retirement are slim, it wouldn't make sense to plow lots of money, if any, into Roth accounts. Similarly, you wouldn't want to give up the tax advantages of a 401(k) or IRA just to get money into a taxable account that will generate long-term capital gains. And while adding investments that can hedge against inflation or a slowdown in U.S. growth makes sense, you want to be careful you don't end up di-worse-ifying rather then diversifying.